Watching developers use the Android platform the last year has shown a number of trouble areas in the Service API as well as growing issues in the ways services operate. 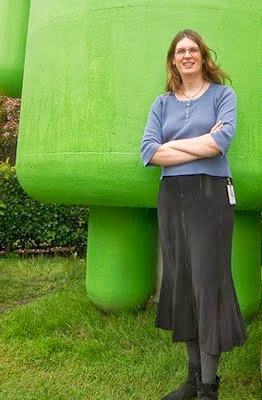 As a result, Android 2.0 introduced a number of changes and improvements in this area for both developers and users. Service.setForeground() is now deprecated and in 2.0 does nothing. There were many edge cases in the service lifecycle that made it very easy to accidentally leave a service running; new APIs in 2.0 make this much easier to deal with. Android 2.0 also introduces a new UI for end users to monitor and manage the running services on their device. Before going into the details of 2.0, it may be useful to go over a quick summary of services. The Service API in Android is one of the key mechanisms for applications to do work in the background. Due to the way Android is designed, once an application is no longer visible to the user it is generally considered expendable and a candidate to be killed by the system if it ever needs memory elsewhere. The main way applications get around this is by starting a Service component, which explicitly tells the system that they are doing some valuable work and would prefer that the system not kill their process if it doesn't truly need to. This is a very powerful facility but along with that power comes some responsibility: an actively running service is taking resources away from other things that can run (including inactive processes in the background that don't need to be initialized the next time the user visits them). It is thus important that developers take care when designing their services that they only run when truly needed and avoid any bugs where they may accidentally leave the service running for long durations. During the final stabilization period of Android 1.6 we started to see more issues due to an increasing number of applications using the Service.setForeground() API when they shouldn't be. This is an API that we haven't advertised much because it should not be used by most applications and can be very hard on the system: it asks that the service's process be treated as in the foreground, essentially making it unkillable and thus more difficult for the system to recover from low memory situations. This also not coincidentally makes it much easier to manage the notification state along with the service, since the system can now guarantee that there is always a notification while the service is in the foreground, and that the notification goes away whenever the service does. Many developers will want to write a service that works on older platforms as well as 2.0 and later; this can be accomplished by using something like the following code to selectively call the new APIs when they are available. Another situation we were increasingly seeing in 1.6 was that, even ignoring the services that inappropriately make themselves foreground, we had a growing number of devices with a large number of services running in the background all fighting each other over the available memory. That service gets onCreate(), onStart(), and then spawns a background thread to do some work. The system is tight on memory, so has to kill the currently running service. Later when memory is free, the service is restarted, and gets onCreate() called but not onStart() because there has not been another call to startService() with a new Intent command to send it. Now the service will sit there created, not realizing it used to be doing some work, and so not knowing it should stop itself at some point. START_STICKY is basically the same as the previous behavior, where the service is left "started" and will later be restarted by the system. The only difference from previous versions of the platform is that it if it gets restarted because its process is killed, onStartCommand() will be called on the next instance of the service with a null Intent instead of not being called at all. Services that use this mode should always check for this case and deal with it appropriately. START_NOT_STICKY says that, after returning from onStartCreated(), if the process is killed with no remaining start commands to deliver, then the service will be stopped instead of restarted. This makes a lot more sense for services that are intended to only run while executing commands sent to them. For example, a service may be started every 15 minutes from an alarm to poll some network state. If it gets killed while doing that work, it would be best to just let it be stopped and get started the next time the alarm fires. START_REDELIVER_INTENT is like START_NOT_STICKY, except if the service's process is killed before it calls stopSelf() for a given intent, that intent will be re-delivered to it until it completes (unless after some number of more tries it still can't complete, at which point the system gives up). This is useful for services that are receiving commands of work to do, and want to make sure they do eventually complete the work for each command sent. For compatibility with existing applications, the default return code for applications that are targeting an earlier version of the platform is a special START_STICKY_COMPATIBILITY code that provides the old behavior of not calling onStart() with a null intent. Once you start targeting API version 5 or later, the default mode is START_STICKY and you must be prepared to deal with onStart() or onStartCommand() being called with a null Intent. Our final issue to address is the case where there are simply too many service running in the amount of memory available on a device. This may be due to bugs or design flaws in installed applications, or the user simply trying to do too much. Historically users have had no visibility into what is going on at this level in the system, but it has become important to expose this, at least for lower-end devices, as the use of services has had an increasing impact on the user experience. GTalkService is part of the standard Google application suit; it is running in Google's "gapps" process, which currently consumes 6.8MB. It has been started for 3 hours 55 minutes, which on this device is the time from when it was first booted. ActivityService is part of the Phonebook app, and its process consumes 4MB. This also has been running since boot. SoftKeyboard is a third party input method. It has been running since I switched to it, about 4 minutes ago. Some other services, like the input method, are running for other reasons. For these, tapping on the service will go to the corresponding UI to manage it (in this case the system's input settings). Avail: 38MB+114MB in 25 says that the device has 38MB of completely free (or likely used for unrequired caches) memory, and has another 114MB of available memory in 25 background processes it can kill at any time. For most users, this new user interface should be a much more effective way to manage the background applications on their device than the existing "task killer" applications. In the vast majority of cases the reason for a slow running device is too many services trying to run. This prevents the system from being able to run any background processes (which speed up app switching), and ultimately can result in thrashing through the services when not even they can all be kept running. The Running Services UI is intended to provide very specific information about the services that are running, to help make a good decision about what should be stopped. It also does not use the API to force stop an application, which can unintentionally break applications in numerous ways. For developers, this is an important tool to ensure your services are well behaved. As you develop your app, be sure to keep an eye on Running Services to ensure that you are not accidentally leaving your services running when they shouldn't be. You should also now keep in mind that users may freely stop any of your services as they wish, without your control, and account for that. Android's Services are a very powerful tool, but one of the main and subtle ways that application developers can harm the overall experience a user has with their phone. , users can now enjoy richer, animated, interactive backgrounds on their home screen. A live wallpaper is very similar to a normal Android application and has access to all the facilities of the platform: SGL (2D drawing), OpenGL (3D drawing), GPS, accelerometers, network access, etc. The live wallpapers included on Nexus One demonstrate the use of some of these APIs to create fun and interesting user experiences. For instance, the Grass wallpaper uses the phone's location to compute sunrise and sunset times in order to display the appropriate sky. Creating your own live wallpaper is easy, especially if you have had previous experience with SurfaceView or Canvas. To learn how to create a live wallpaper, you should check out the CubeLiveWallpaper sample provided with the Android 2.1 SDK; you will find it in the directory platforms/android-2.1/samples/CubeLiveWallpaper. A live wallpaper is very similar to a regular Android service. The only difference is the addition of a new method, onCreateEngine() whose goal is to create a WallpaperService.Engine. The engine is responsible for handling the lifecycle and the drawing of a wallpaper. The system provides you with a surface on which you can draw, just like you would with a SurfaceView. Drawing a wallpaper can be very expensive so you should optimize your code as much as possible to avoid using too much CPU, not only for battery life but also to avoid slowing down the rest of the system. That is also why the most important part of the lifecycle of a wallpaper is when it becomes invisible. When invisible, for instance because the user launched an application that covers the home screen, a wallpaper must stop all activity. android.wallpaper.tap: When the user taps an empty space on the workspace. This command is interpreted by the Nexus and Water live wallpapers to make the wallpaper react to user interaction. For instance, if you tap an empty space on the Water live wallpaper, new ripples appear under your finger. android.home.drop: When the user drops an icon or a widget on the workspace. This command is also interpreted by the Nexus and Water live wallpapers. <uses-sdk android:minSdkVersion="7" />, which lets Android Market and the platform know that your application is using the Android 2.1 version. <uses-feature android:name="android.software.live_wallpaper" />, which lets the Android Market and the platform know that your application is a live wallpaper. Many great live wallpapers are already available on Android Market and we can't wait to see more! With the introduction of live wallpapers in Android 2.1, users can now enjoy richer, animated, interactive backgrounds on their home screen. A live wallpaper is very similar to a normal Android application and has access to all the facilities of the platform: SGL (2D drawing), OpenGL (3D drawing), GPS, accelerometers, network access, etc. The live wallpapers included on Nexus One demonstrate the use of some of these APIs to create fun and interesting user experiences. For instance, the Grass wallpaper uses the phone's location to compute sunrise and sunset times in order to display the appropriate sky.